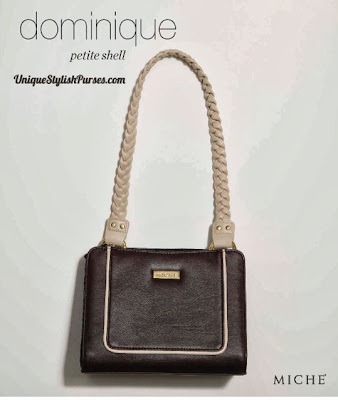 Dominique Miche Petite Shell features timeless styling and go-anywhere colors. This chic Petite glams up any outfit and brings out your inner fashionista. Rich espresso-brown faux leather is deliciously offset by creamy piping detail and gold nameplate. Perfectly matches our Braided Handles (cream).